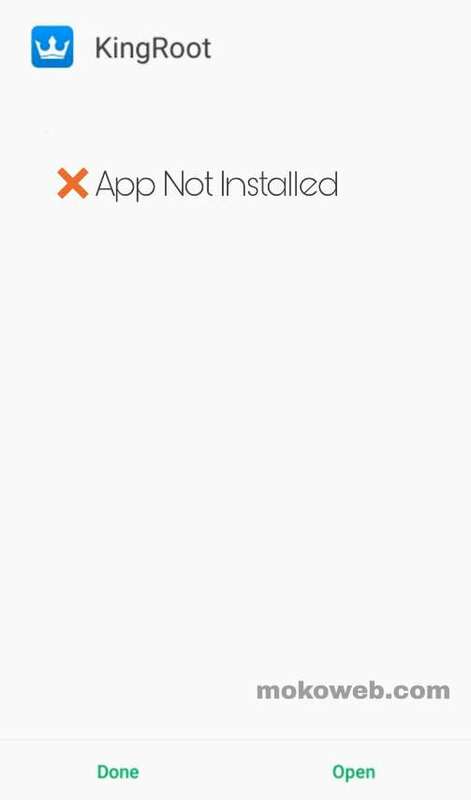 Kingroot “app not installed” error is one of the problems people encounter while trying to install the app on their Android phone. Are you also getting this app not installed error? This post contains the solutions to the problem. You will be able to fix Kingroot app not installed when you apply the tips here which I have used to solve mine and others around me. Some of the known causes of this error includes corrupted storage, corrupted SD card, missing app installer module and virus. 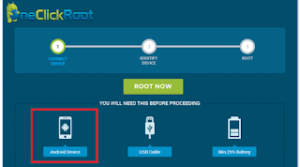 Note that Kingroot is one of the best and easiest Android phone rooting apps. It’s a Chinese app that can root several phone brands including Samsung, Huawei, Infinix, Xiaomi, Tecno, Itel, Gionee, LG etc with one touch although the app is not available on Google’s Play store but can be downloaded elsewhere via third-party sources. Following below methods will fix the error for you. Kingroot may not be installed on your phone because a good .apk app installer is missing so you have to download one to be able to install not just kingroot apk but every other android app on your phone. You can download APK Installer for Android. It will serve as an alternative app installer in case the pre-installed one on your phone is misbehaving. Now, what if this apps doesn’t install? Scroll down to wherever you see “Security” alone or be paired with another. Then return back and try installing Kingroot. This could fix and clear the error for you. Even after trying the second method and it fails, you will need to install the latest version of Kingroot app. Installing latest version of any Android app has proven to solve 1/3 of major app not installed issues encountered by users. So ensure you update the app or consider downloading the latest versions from the web. Just head over to this page to download the latest version of Kingroot app this year. Still didn’t work? Maybe your case is spiritual lol . If all the above solutions failed to work for you then you have no choice other than to use an alternative app. In this case the best Kingroot app alternative is Kingoroot. I used Kingoroot software for PC to root different kinds of Samsung Galaxy smartphone for many years and the trick is still working perfectly for me today even though Kingroot works as well. Kingoroot is a PC used for rooting android devices in one click. It’s just so similar to Kingroot official app but works in both windows powered PCs and Android mobile phones. 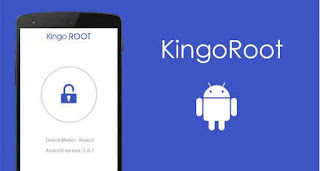 Kingoroot claims it offers every user the fastest and most convenient Android rooting experience. And also their software saves you the trouble of connecting to PC. Just a few steps can get you a rooted Android device in a few minutes. If you are having problems with installing Kingroot on your device, I recommend you give Kingroot a try right now. Another powerful rooting app for Android devices is One-Click root apk. It also has the PC version in case you prefer using your computer for the rooting process. Like the name implies, this app will help root your device in One click. Rooting your phone is risky and in most cases, voids your device warranty so the use of any of the above rooting apps is at your own risk. Just as it has many advantages, there are different disadvantages of Rooting an android phone. See also why you must not root phones running on latest Android OS. That’s all about how to fix Kingroot app not installed error on your phone. Do well to contribute via the comments section about your experience on this issue and how you were able to solve it.